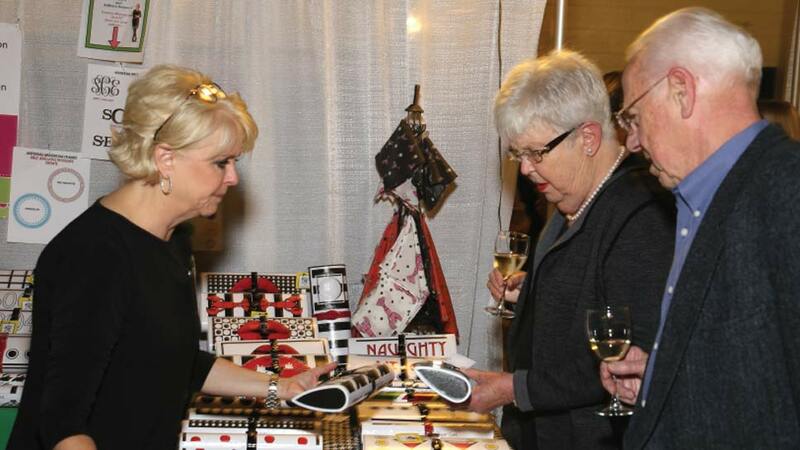 As the holidays draw near, so does Lake Forest’s charitable shopping event of the season. The Women’s Board of Northwestern Lake Forest Hospital will host its annual Holiday Boutique from Thursday, November 16 through Saturday, November 18 at the Lake Forest Recreation Center. Get ready to mingle and shop from a curated selection of top retail vendors in one convenient location. Proceeds from the holiday boutique will directly impact the Board’s fundraising goals, maximizing its contribution to the construction of the new Northwestern Medicine Lake Forest Hospital scheduled to open in March 2018. For the second year in a row, Stephanie Bournakis, Ginny Noble, and Taddy Opat are co-chairing the event. The Boutique will include 45 vendors—24 of them new to the event, featuring a variety of one-of-a-kind pieces, ranging from children’s clothing, toys and festive home accents, men’s and women’s fashions, jewelry, and accessories. Boutique admission is $10 per person, $5 for seniors or students, and complimentary for hospital employees, Lake Forest or Lake Bluff school teachers, and city employees. In addition, the Women’s Board of Northwestern Lake Forest Hospital is hosting its festive Mistletoe and Holly Holiday Boutique Preview Party on Wednesday, November 15 from 6 p.m. to 9 p.m. The party will feature a drawing for two tickets to see Hello Dolly in New York City, as well as specialty food and drink. Tickets for Mistletoe and Holly are $50 in advance and $60 at the door and include unlimited admission to the Holiday Boutique. For more information or to purchase tickets in advance, call the Office of Philanthropy at 847-535-6111 or visit lfh.org/boutique. The Guild of St. Mary will kick off the holiday season with its second annual Christmas Tea on Friday, December 1 at 300 N. Green Bay Road in Lake Forest. 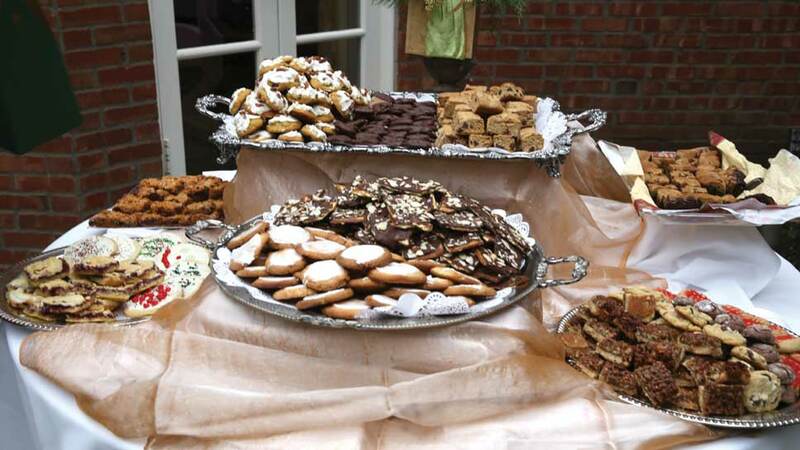 Building on the success the event enjoyed last year, the Christmas Tea will feature an array of holiday-centric hallmarks—from a cookie walk to a 50/50 raffle. Proceeds will benefit the Church of St. Mary and its philanthropic initiatives, which the Guild carries out most prominently through its Circles—smaller groups of women within the Guild who meet once a month to connect and discuss service opportunities. The Guild of St. Mary Christmas Tea will take place at 300 N. Green Bay Road in Lake Forest on Friday, December 1 at 10 a.m. For additional information, visit guildofstmary.wildapricot.org.